Living in Colorado we certainly get our fill of mountain adventures during the summer and one of my favorite traditions to enjoy in the mountains is S’mores over the campfire. There is something that screams summer when you enjoy a S’more! You don’t always need a campfire to make S’mores either. 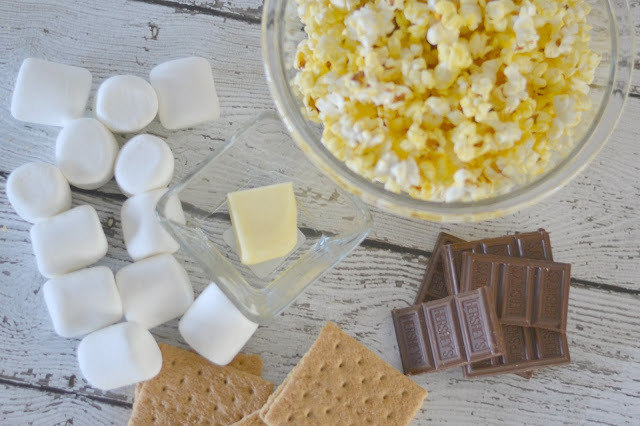 Believe me, we would love to be in the wilderness at the fire pit but that cannot always happen so we have found ways to enjoy that delicious chocolate, marshmallow and graham cracker goodness even with out the campfire! One evening after a long day in the pool, Jeremy told me that he really wanted a S’more. We had already planned to have a mini date night after the kiddos went to bed and enjoy a movie so I got a great idea for a special date night in movie snack! No campfire – no problem! S’mores indoors, yes please!! 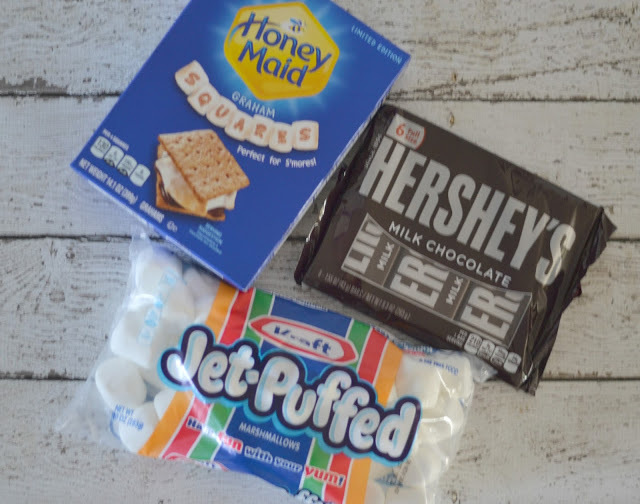 Once the S’mores summer months show their faces and heat I always stock up on our favorites for easy S’more making. The triple combo must include Hershey’s Milk Chocolate bars, Kraft Jet-Puffed Marshmallows, and Honey Maid Graham Squares. By the way, the Honey Maid Graham Squares are a limited edition and make the perfect S’more! 1. Pop popcorn as you like. I used microwave popcorn to speed up the process. 2. Line baking sheet with parchment paper and spreed popped popcorn out onto the parchment paper. 3. Sprinkle the popcorn with the broken graham crackers. 4. 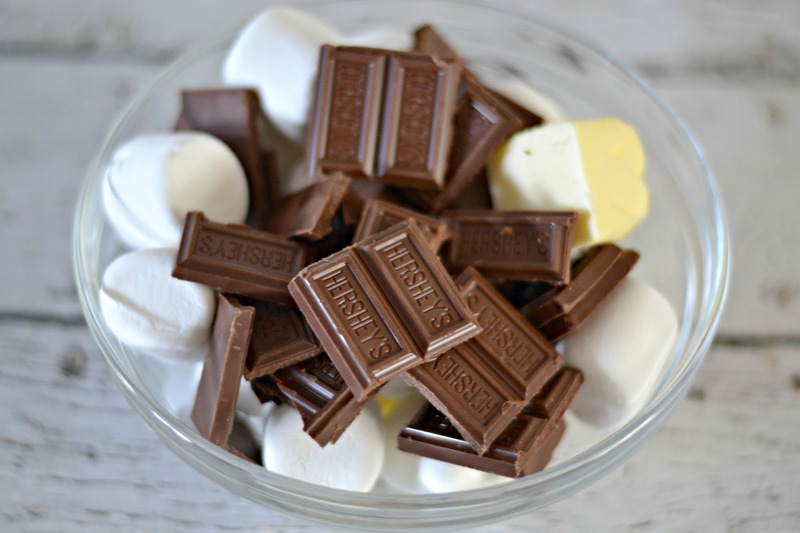 In a microwave safe bowl, combine butter, large Jet-Puffed marshmallows, and Hershey’s Chocolate bars. Heat mixture for 1 minute in the microwave and stir. Continue to heat at 30 seconds at a time, stirring each time. 5. 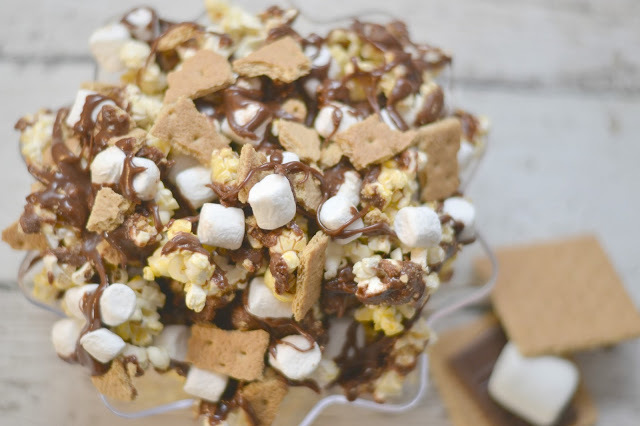 Once chocolate and marshmallow mixture is melted completely, drizzle over the popcorn and graham crackers on the baking sheet. 6. 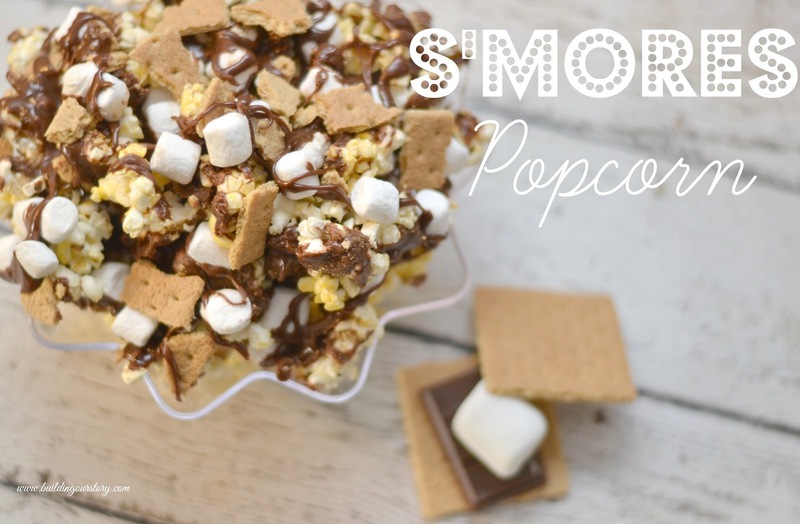 Top popcorn with mini marshmallows. 7. Let popcorn set in the refrigerator. Once chocolate is cooled it is time to enjoy your indoor S’mores! This was the perfect date night treat for Jeremy and me. 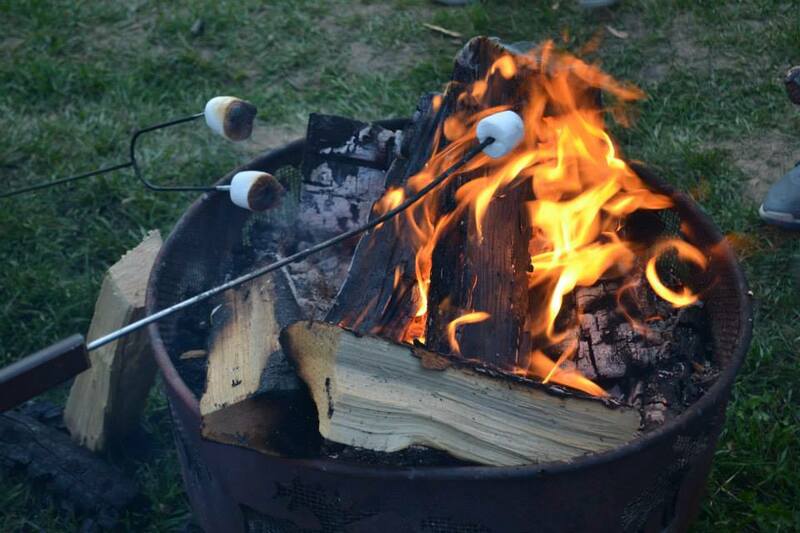 It was so yummy and totally gave us that S’mores flavor that we love to enjoy over the campfire. So now, you need to head to your local Walmart and pick up the triple threat of ingredients and get into the summer spirit with some S’mores treats! My name is Censie (said like Kenzie), yeah I know it is different but now you will never forget it – especially if you read this post about my name. I am a Denver Colorado blogger, mother of 2 and wife to Jeremy who loves sharing inspiration as we continue to Build Our Story! After close to 9 years of blogging on the side while working full-time outside of the home I have moved into the roll of a full-time social influencer and writer! What an honor! Learn more about her on Building Our Story.